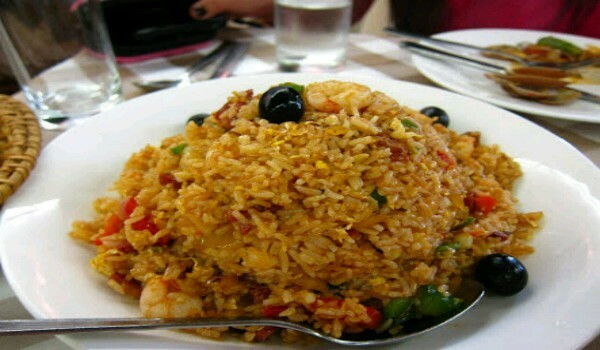 Portuguese Rice is a very popular recipe. Learn how to make/prepare Portuguese Rice by following this simple & easy recipe. Heat olive oil in a frying pan and saute onions. Add green pepper and cook for another 5 minutes. Add tomatoes and cook for additional 10 minutes. Stir in in rice and stir 2-3 times. Pour water and flavor with salt and pepper. Cover and cook on low heat until rice turns tender and water is absorbed. Remove from heat and leave undisturbed for 5-8 minutes.